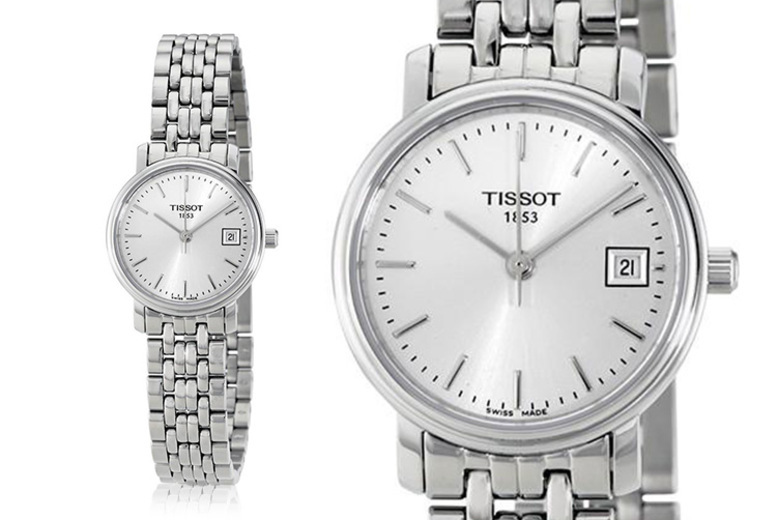 Get a sleek and sophisticated ladies’ watch from Tissot. Featuring a minimalist silver dial with a date display. House in a stainless steel case. Finished with a stainless steel bracelet. Water resistant up to 30m.